Home / Editor's Choice, Entertainment News, Featured Articles, Gossip and Drama / SHOCK as it emerges that Red Cross boss ABBAS GULLET loots money and develops properties through his brother. SHOCK as it emerges that Red Cross boss ABBAS GULLET loots money and develops properties through his brother. 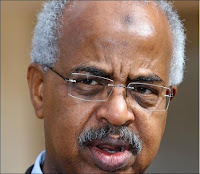 Wednesday, March 27, 2019 - Kenya Red Cross Secretary General, Abbas Gullet, recently faced the wrath of Kenyans and political leaders after he asked for contributions to help the residents of Turkana who are dying of hunger. Kenyans questioned where Abbas Gullet takes the millions of shillings Kenyans contribute everytime there is hunger and other national disasters. During the last drought, Kenyans contributed millions of shillings through an Mpesa bill and the money was not accounted for. 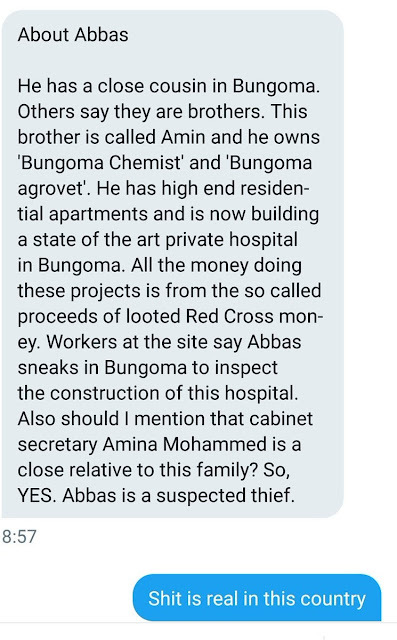 It has now emerged that Abbas Gullet loots money from Red Cross and channels it to his brother. According to snoops, he is building high end apartments and a state of the art private hospital through the money he loots from Red Cross. Workers at the site say that they regularly see him coming to inspect the construction. See this tweet by popular blogger Mutai that exposes Abbas Gullet badly.